CPU ready is the time a virtual CPU is ready to run but is not being scheduled on a physical CPU. This would under normal circumstances indicate that there is not enough physical CPU resources on an ESX/ESXi host. This is the first go-to counter when your users complain about bad performance. 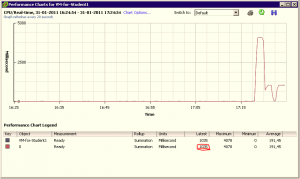 To be able to interprept ready times it is essential to know the relationship between the percentage of ESXTOP and ms. of the Performance Graphs. You are seeing the same numbers. One is in milliseconds the other is a percentage. 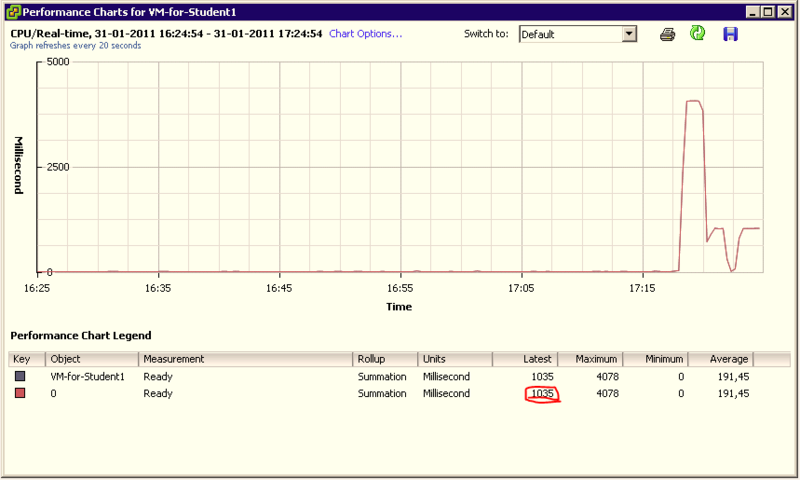 In general you want to see virtual machines with a ready time lower than 1000 ms. or 5%.